Drinking 3 or 4 cups of coffee a day may actually have health benefits, according to a study in the British Medical Journal. 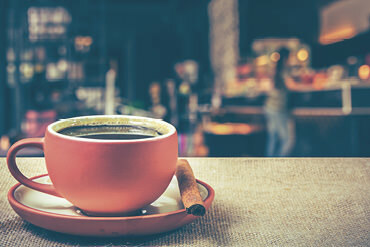 More than 200 studies on coffee consumption and health were undertaken, and as with most things, drinking coffee in moderation (around 3 to 4 cups a day), could actually lead coffee drinkers to see health benefits, perhaps experiencing lower rates of premature death, cardiovascular disease and liver disease. The optimum amount was three or four cups, excluding pregnant women and those who are prone to fractures. However, take this with a pinch of salt, as this was only an observational analysis there may be other factors which account for these findings. So, as well as coffee giving you and your customers your much-needed morning boost, you could be benefitting your health too!